- An exhibition in a kitchen garden. 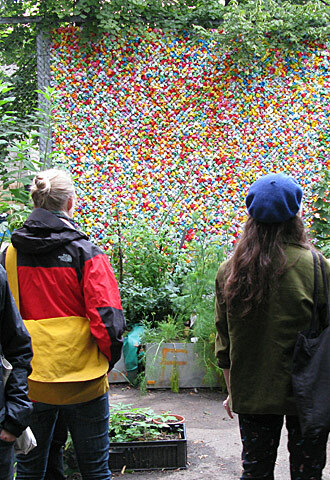 The artists investigate and challenge ideas connected to the kitchen garden. The exhibition plays with the kitchen garden as an exhibition-space, transforming this garden-space of everyday life by changing its function and pushing the ideas of a traditional exhibition space.